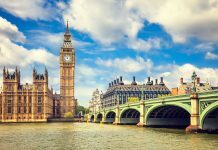 London markets are ideal shopping destinations, selling everything from food to flowers, modern art to antiques, clothes to curios. 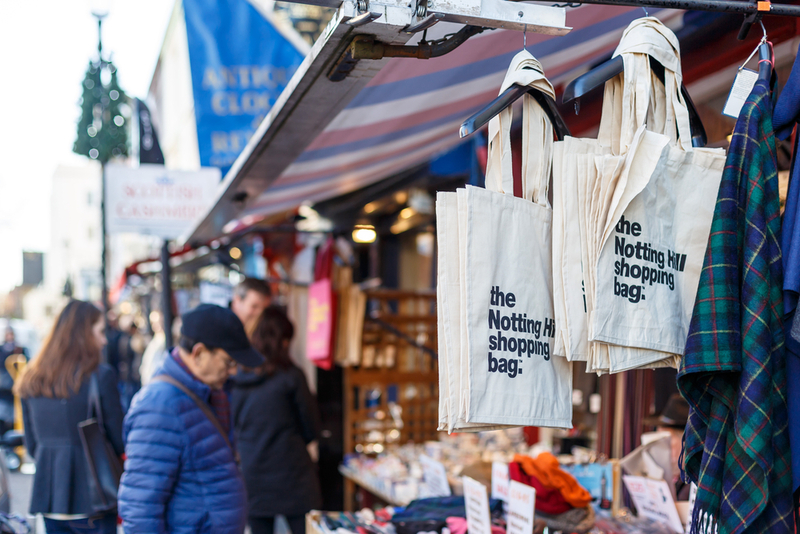 Large, sprawling markets such as Camden Market and Portobello Road are ideal if you want to spend a day wandering about, hopefully finding a few bargains along the way. 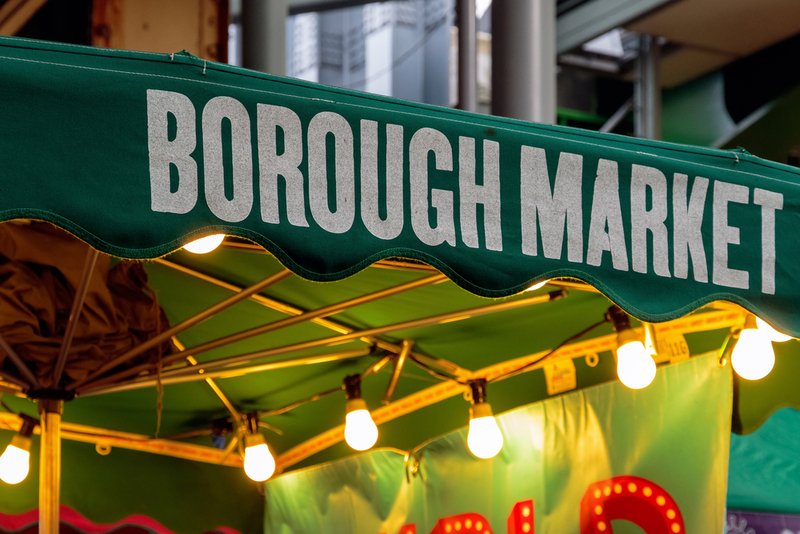 Greenwich Market is great for gifts and local designers, and you can’t beat Borough Market for a quick bite to eat. Borough Market’s gourmet food market consists of more than 100 stalls and stands. Producers from all over the country bring a range of fresh produce to the market, including fish, meats, vegetables, ciders, cheeses, breads, coffees, cakes and patisseries. Other stalls specialise in produce imported from abroad. Sited in London’s East End, near Brick Lane and Spitalfields, this street market has a friendly atmosphere and is open every Sunday from 8am-3pm. Brick Lane Market is a large East End flea market with street stalls selling antiques, clothes and bric-a-brac at bargain prices. Since 2000 Brick Lane has seen several markets open under The Truman Markets umbrella: The Boiler House Food Hall, the Tea Rooms, the Backyard Market, the Sunday UpMarket, and the Vintage Market. These markets sell everything from vintage and handmade clothing, accessories, jewellery, music, arts and crafts, and tasty street food. The food trucks are in the yard seven days a week. The markets are open at the Old Truman Brewery on Brick Lane on Saturday between 11am-6pm and Sunday from 10am-5pm, except the Sunday UpMarket which is just on Sunday and the Vintage Market which is also open on Thursday and Friday. Main market days are Friday and Saturday with a smaller market running Monday to Thursday. An exciting day out for all the family and less than 1 mile away from the Park Grand London Lancaster Gate Hotel. Camden Lock is at the heart of Camden Town’s thriving markets area. Open seven days per week, Camden Lock Market comprises stalls and shops selling everything from vintage clothing to hand-made jewellery and artwork to gifts, music and more. There are also food stalls offering a large variety of cuisines. A former timber yard for ship builders TE Dingwalls, Camden Lock was opened in the 1970s as Camden’s original arts and crafts market. The original market hall was re-opened in the 1980s and a steel and glass canopy added to the East Yard in 2003. Camden Lock market is open seven days a week so great if you are visiting midweek to take advantage of Central London hotels special offers. Accommodation is usually cheaper on weekdays compered to weekends. The Apple Market is found in the North Hall of the Marketing Building and sells British made crafts, jewellery, leather goods and more. You will always find a range of curios every day of the week. One of the oldest chartered markets in London is having a revival. Broadway Market is a buzzing centre of the community. The market includes a farmer’s market stocking an eclectic mix of goods from local farmer, artists and crafts. With shops and galleries selling local art, a ceramics shop selling original pieces and Fabrications selling a mixture of exciting and unusual clothes and gifts, the street offers unusual and stunning merchandise at affordable prices. Greenwich Market is packed full of unique and distinctive arts and crafts. Well known for its designer makers and small cottage industries, customers have access to items that cannot be found anywhere else in the world. Enjoy the vibrant atmosphere, take in some classical music performed by students from nearby Trinity College of Music, and enjoy the continental food court whilst browsing through the wonderful array of over 120 arts, craft and antique stalls. Discover eclectic eateries, cocktails, live music and more at this London foodie hub under the railway arches in Southwark. From pancakes and bakery specials to Turkish dumplings, Mexican street food and Japanese ramen, there’s plenty to tuck into at the numerous street food trucks and fixed-site restaurants. On Sundays, you can also browse an eclectic mix of stalls selling clothes, furniture, ceramics, books, vinyl and other unique finds at the Flea vintage and makers market, from 10am-5pm. Alfie’s Antique Market is a bustling and lively centre for decorative and unusual antiques. This chic and cheerful market has a little more life than your traditional antique thoroughfares, boasting some 75 specialist dealers, spread over five floors. On the top floor, you’ll find the Roof Top Kitchen where you can enjoy panoramic views over London’s rooftops.